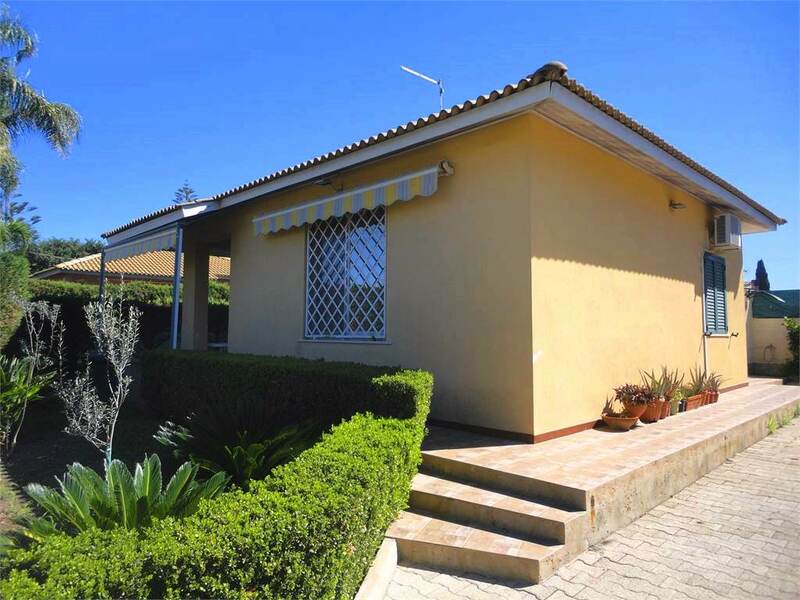 The villa is located in the south-eastern part of Sicily, 30 km from the airport of Catania, in the seaside area of ​​Campolato, 2 km from the tourist town of Brucoli. 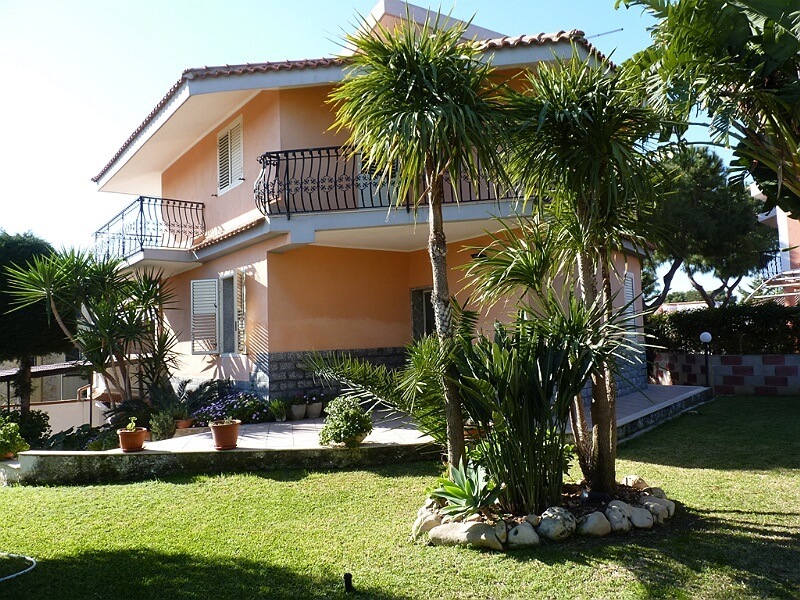 Sea view house is situated front of the sea and has private access to the sea. There is no beach but rocky cost. The villa consists of two floors. The first floor consists of a dining room, a kitchen, a bathroom and a spacious living room with a sea view. From the living room exit to the terrace of 100 m2 with a view to the sea, the volcano Etna and Catania. Second floor - 4 bedrooms, all with access to the garden and sea view (one of the bedrooms has its own bathroom), 1 bathroom (shower + bath), laundry. The villa is built in a modern style, solar panels of 3 kW, solar water heater, central dust extraction system, electrical cornices, Schuco windows. Summer kitchen with barbecue, sea view, access to the sea on the rocky coast. 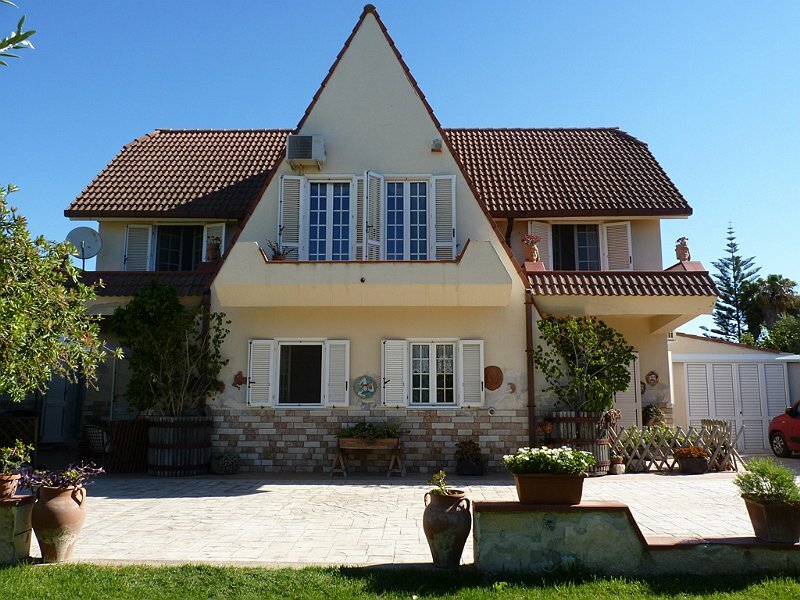 The villa area is 265 m2; The area of ​​the land with a garden is 21000 m2 The price is 800.000 euros. 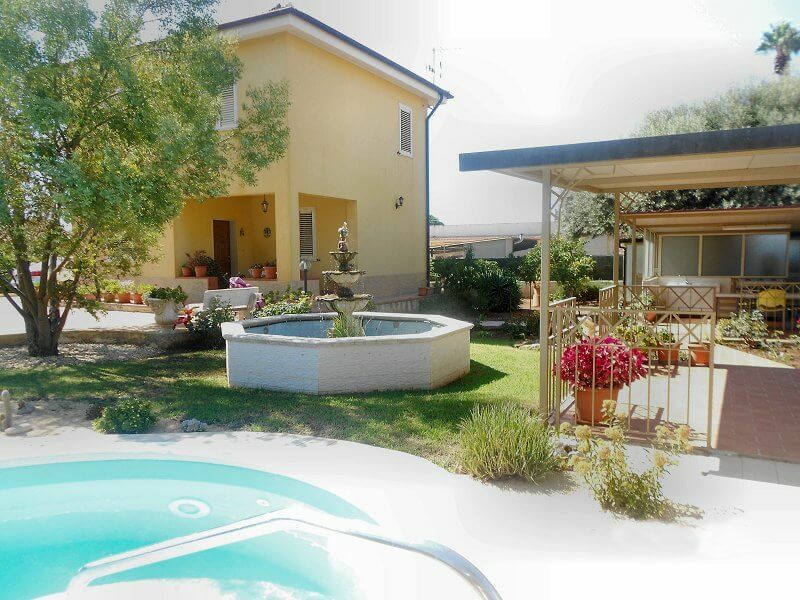 Villa in vendita con piscina a Fontane Bianche (Siracusa), 75 km dall'aeroporto di Catania. 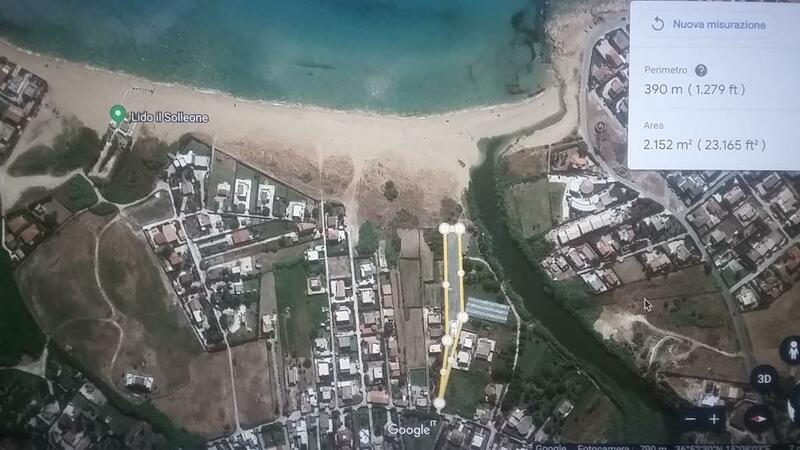 La villa si trova in una posizione tranquilla e silenziosa, a 1.3 km dal mare e le famose spiagge. 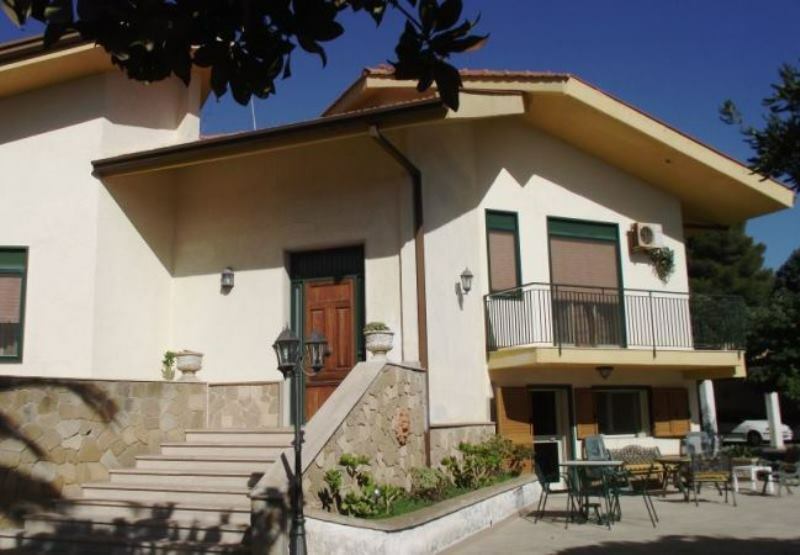 Citta’ diCassibile dista a 900 metri dove ci sono supermercati, banche, farmacia, pescheria, pizzeria, bar, ecc Villa - 120 m2. Terreno - 1050 m2. Giardino - 950 m2. Piano terra - veranda, soggiorno, cucina, bagno, lavanderia, ripostiglio. Secondo piano - 3 camere da letto, bagno. Villa è circondata dal giardino curato dove crescono alberi di ulivo, piante tropicali e alberi da frutto. Piscina 30 m2. La casa è dotata di pannelli solari 4 kw, irrigazione automatica, pozzo privato, allarme. La villa è in ottime condizioni. 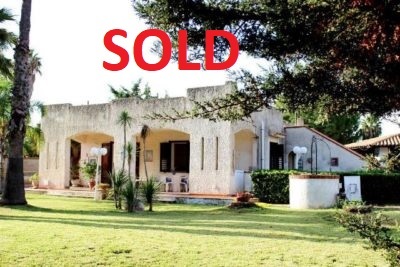 Villa in vendita a 700 m dal mare cristallino e 1 km dalla spiaggia. 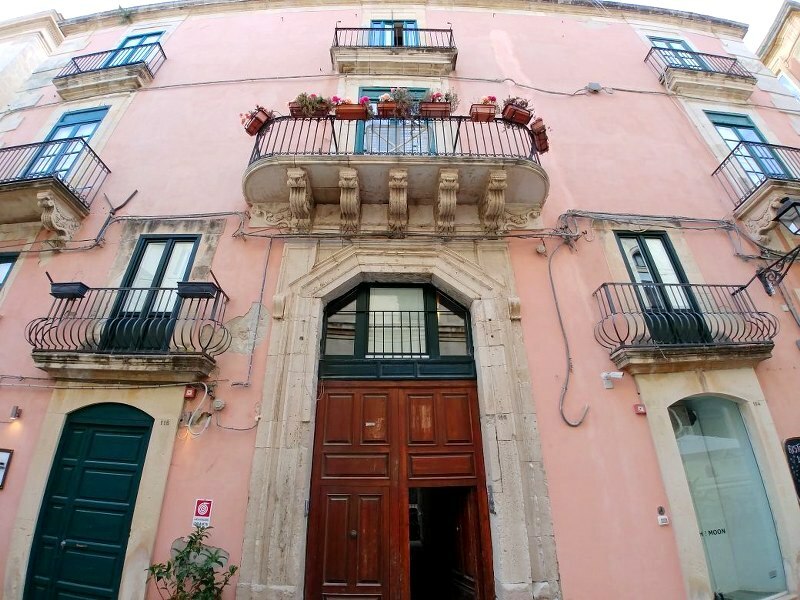 La villa si trova nella zona turistica di Arenella, a 5 km dalla riserva marina, a 10 km dalla città greca - Siracusa. Superificie della casa è di 90 m2, il terreno è di 700 m2. La villa è composta da un piano. Soggiorno con angolo cottura, 3 camere da letto, 1 bagno, dispensa, lavanderia, verande estive, giardino ben curato, posto auto, barbecue. 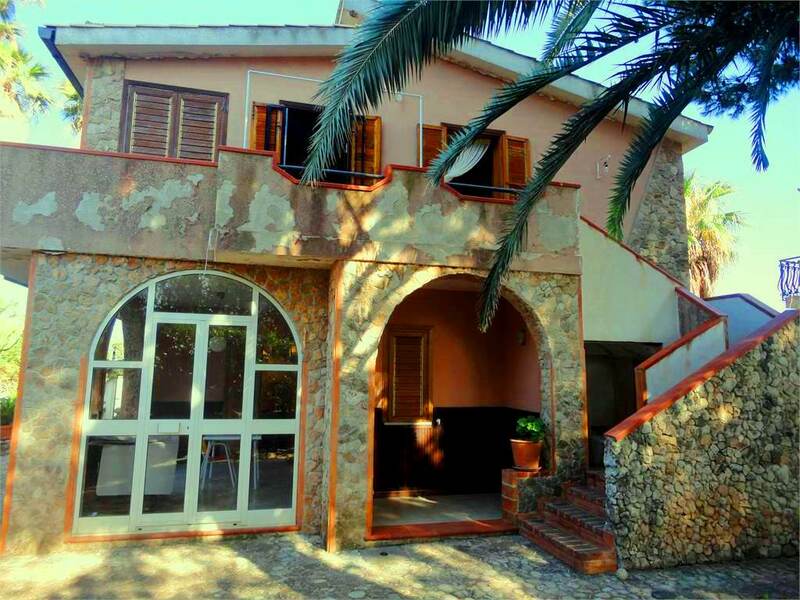 Villa for sale in a famous tourist place - Fontane Bianche, Syracuse province. The distance to the sea and the rocky beach is 750 m, to paid and free beaches - 1.2 km. 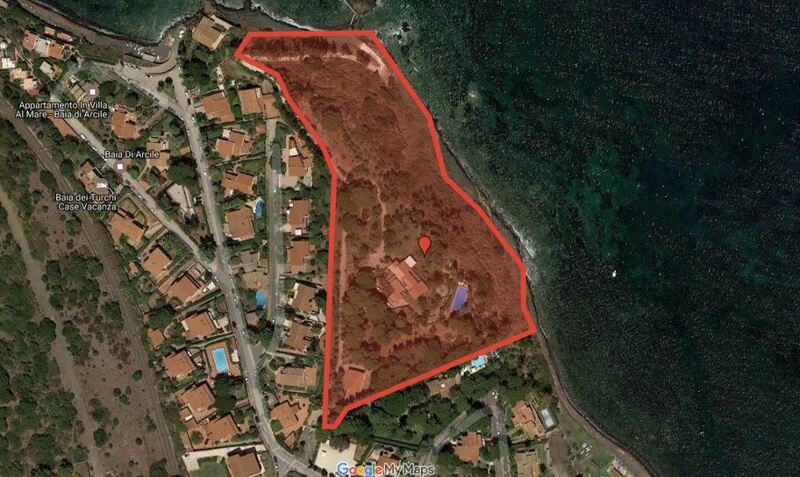 The area of the villa is 220 m2, land - 750 m2. 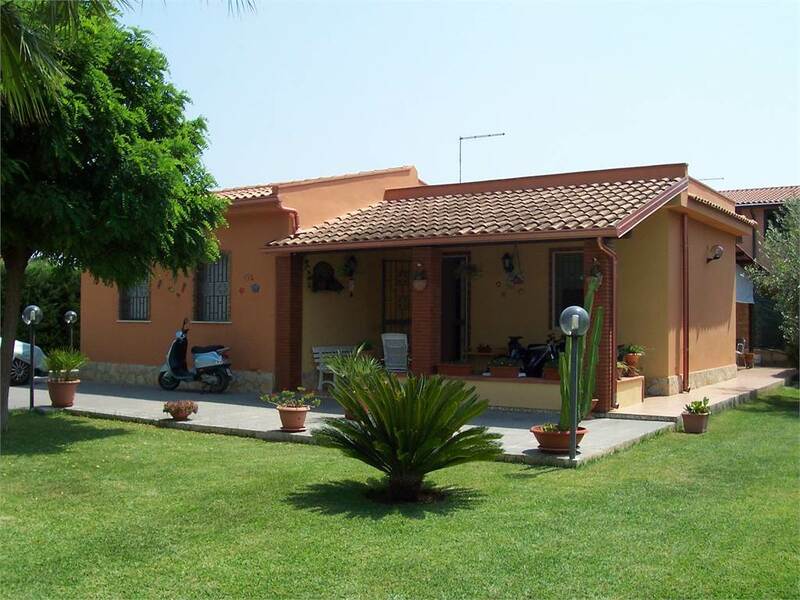 Villa consists of two floors, there are three independent living spaces. On the first floor there is living room, kitchen with access to veranda, bathroom, 1 bedroom, 1 children's room. The entrance to the 2nd floor is on the external staircase and it is divided into two apartments. Each apartment consists of a kitchen, 1 bedroom, 1 children's room and a bathroom. Veranda, summer kitchen, barbecue. Fontane Bianche is one of the places on Sicily, where you can live comfortably throughout the year, as well as to rent out the real estate. The town is in 15 km from Syracuse and Noto, in 2 km from Cassibile. Wonderful sunny weather in the south-eastern part of Sicily and the emerald sea with white beaches used to attract tourists from all over the world for years. 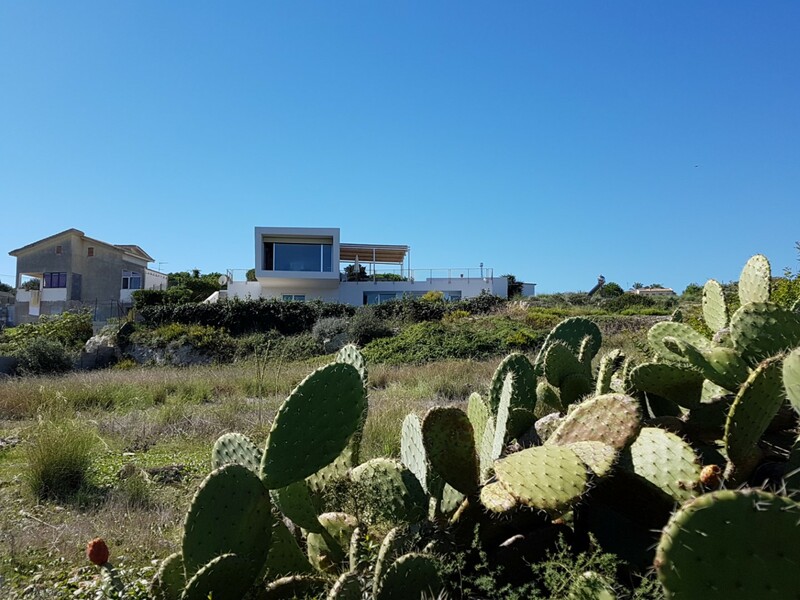 If you want to buy a property in Sicily and relax in a quiet, environmentally clean place, close to the ancient Greek cities and next to the sea beaches listed in the UNESCO, Fontane Bianche - is the place you need.